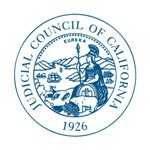 SAN FRANCISCO—The Judicial Council of California’s Technology Planning Task Force posted for public comment the Court Technology Governance and Strategic Plan. The proposal provides a structure and roadmap for technology initiatives and increases the transparency and accountability of how funds are managed for technology projects in the judicial branch. The Technology Planning Task Force includes judicial officers, court executive officers, court information technology officers, and other stakeholders representing 19 trial courts, the appellate courts, and the public. Before presenting the proposal to the council in January and posting it for public comment, the task force shared the plan with presiding judges, court executive officers, court information officers, the Legislature, and the Governor’s administration. The proposal and invitation to comment are posted on the California Courts website. The deadline for comment is June 16, 2014.